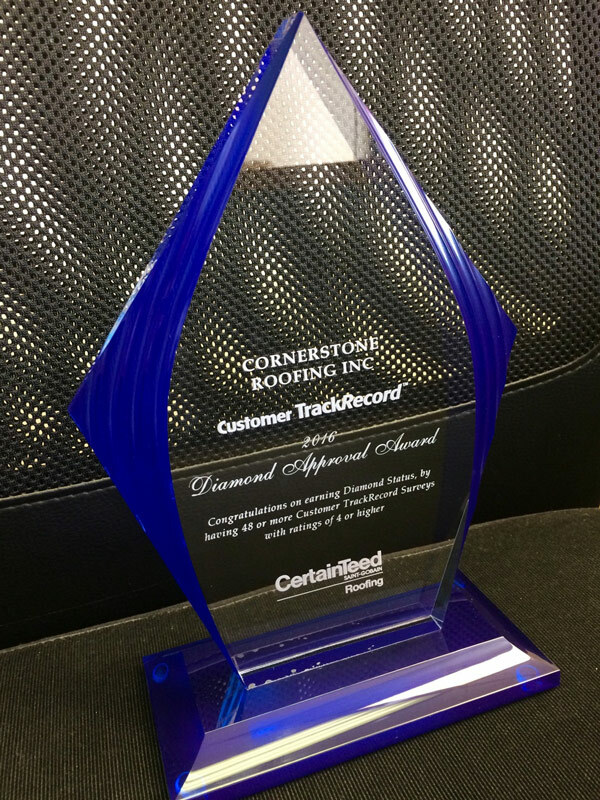 2016 CertainTeed Customer TrackRecord Diamond Approval Award - Cornerstone Roofing, Inc. 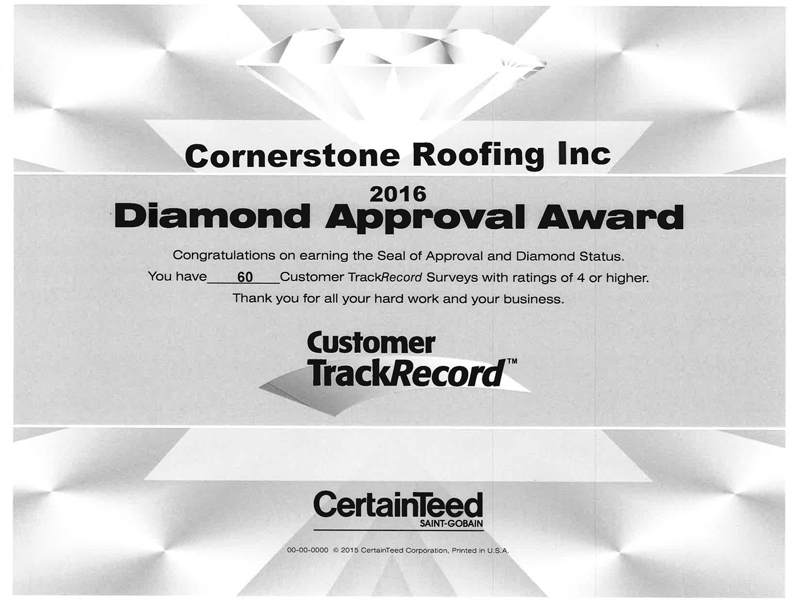 Cornerstone Roofing, Inc. is exceptionally excited to have earned the 2016 CertainTeed Roofing Diamond Approval Award for the third consecutive year! Less than 25 companies in North America have attained the CertainTeed Diamond Level Customer Approval Rating/ Status so we are very proud and honored to have received this significant achievement. This award is based on our customers rating us at 4 or higher on a 5 point scale. Thank you to our happy customers for making this award possible! We appreciate it very much.